Download a PDF containing all of the information on this site related to transiting through the Panama Canal on a cruise ship. When making a Panama Canal transit on a cruise you will have plenty to see while transiting the Canal, and there are many things to check out at either end should you stop for the day. If you would like to know if any other cruise ships are transiting the Canal with you then please check out the cruise calendar at Seacruise. If you find yourself on the Caribbean side at Colon 2000 or Cristobal Pier, the main attraction is the Gatun Locks, but there are some places on that side of Panama to get to in a taxi. 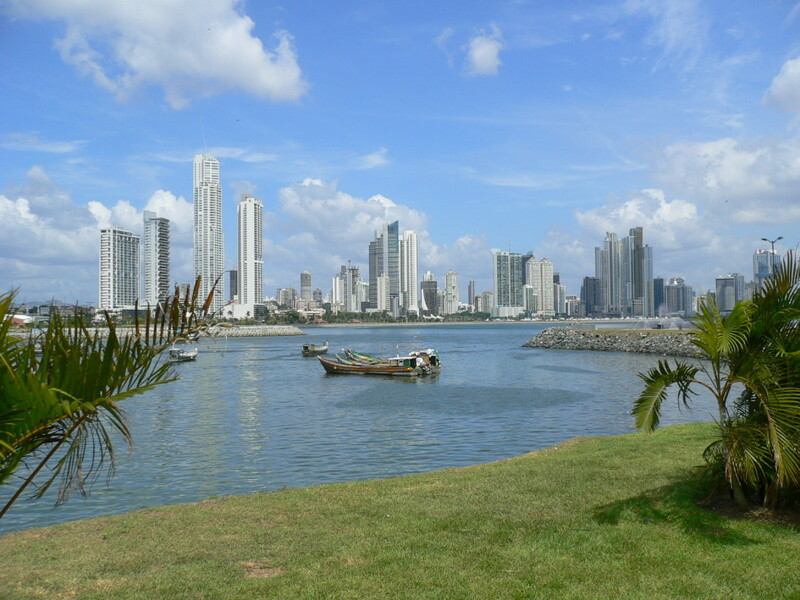 Hopefully you will be on the Pacific side of Panama where there is a lot more to see. The ship will anchor off the end of the the Causeway with a magnificent view of the city skyline, and there are plenty of options for getting around Panama City to enjoy it. Visit Mi Pueblito which is a mock village depicting three Panamanian cultures: Afro-Caribbean, the interior region, and indigenous groups.